Meet us at Andy's Market located 90-miles from Atlanta in Clayton Georgia. Come and explore the beautiful trails of Standing Indian Mountain in the morning and have a picnic style lunch. After our hike, you will experience wine tasting at Stonewall Creek Vineyard, where you will enjoy tastings of six different flavorful wines. This is a full day journey in an incredible part of the country! 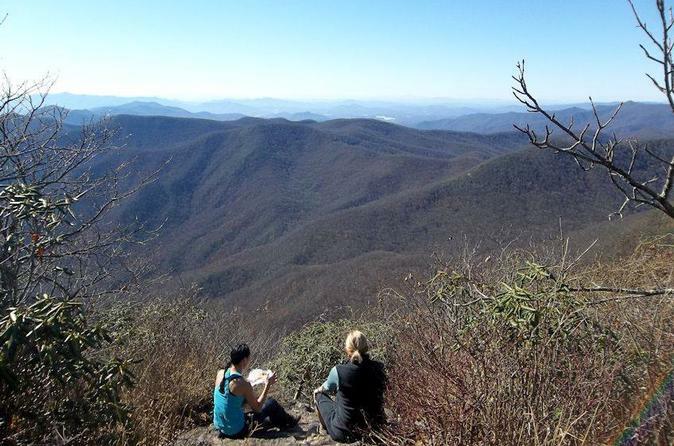 Standing Indian Mountain is the highest point along the Appalachian Trail and stands along the Nantahala River, south of the Smokey Mountains. Views from the top are spectacular regardless of the time of year. Standing Indian Mountain is a beautiful hike in any season, trailing through a sun-dappled forest filled with moss, fern and thickets of rhododendron. It’s particularly beautiful in fall, when the forest is painted in the vibrant, warm hues of autumn. Meet us at Andy's Market at 8:00am for an incredible full-day hike, This Journey with a professional local guide providing fun, entertainment and education about your surroundings. We will also provide a picnic style lunch which includes: turkey meat, flat bread, mustard, humus, nuts and berries, and seasonal greens from our organic farm. After our hike you will experience wine tasting at Stonewall Creek Vineyard, a small artisan vineyard which typically sells out tastings as the year progresses. Six amazing wines to taste are included in this Journey and in-depth look into the winery its self. We will then return back to Andy's Market so you can enjoy the ride home!